Ahhh Autumn. The markets are full of bright and shiny balls of temptation known as apples. Everyone’s Thanksgiving and Christmas menus always include apple in some form of pie, cake, crumble or salad – at which point I have to calmly remind myself of what will happen if I partake: pain and misery. Good bye, apple pie; Bakers Delight’s fruit mince tarts are a distant memory. Sigh. For years I had to be strong (or pretend I was wearing blinders) when walking past the dessert buffets at family/friend meals but no more! Enter the choko. 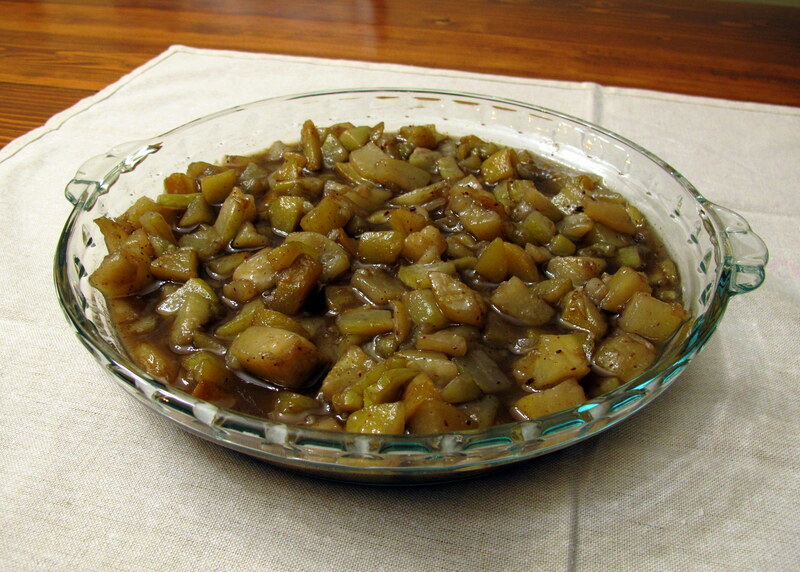 I can’t remember how I came across chokos (also known as chayote squash in some parts of the world) but they also happen to be in season during late Summer to Autumn and they make fantastic apple substitutes. To the person or website that first mentioned them to me, I will say a massive THANK YOU! Chokos are a low FODMAP variety of gourd that, when eaten peeled and raw, resemble an apple in texture (crisp and juicy), with a very mild taste that can be accentuated with the right sugars and spices. They are exactly what you need to make a mockapple pie or crumble and, in my humble opinion, are a much better option than peeled zucchini. So good, in fact, that in Australia there’s an urban legend that states that McDonald’s used to use chokos in their apple pies, because they were cheaper than apples and nobody could tell the difference! 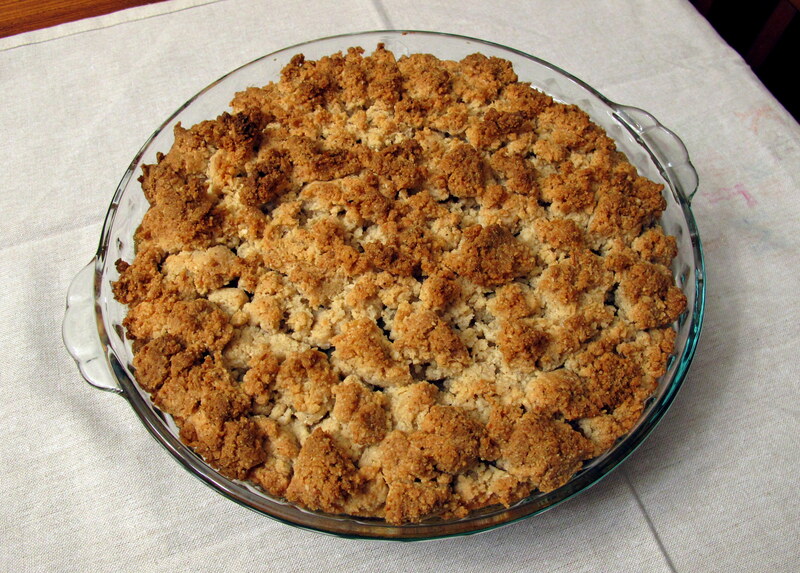 The first time that I made this crumble, I treated the choko like an apple and baked it from a raw state – that was mistake number one. Choko takes a lot longer to soften than apple does, so you need to stew or poach it first, otherwise the crumble topping will be overly brown by the time it’s soft in an incredible 1 hour and 40 minutes. Yikes. 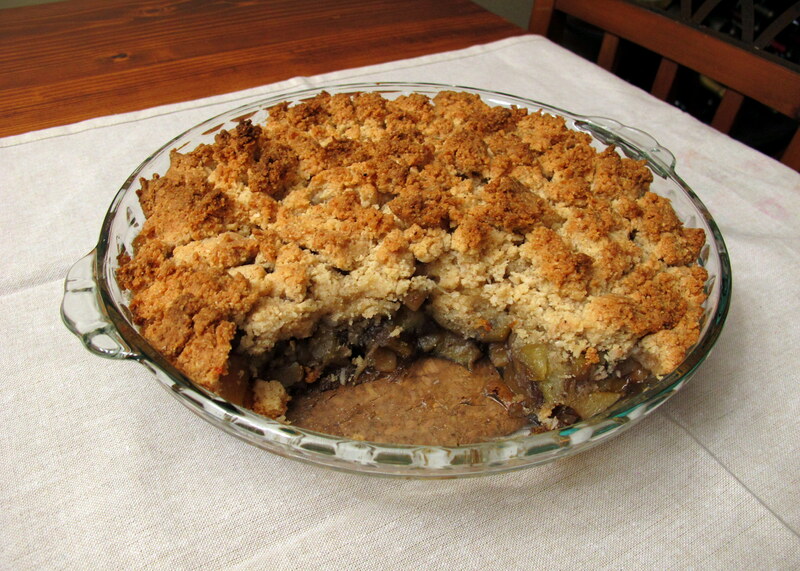 I also added the same amount of starch that I would have added to an apple crumble – mistake number two. Mistakes are good, though. We learn from them and – hopefully – don’t repeat them. 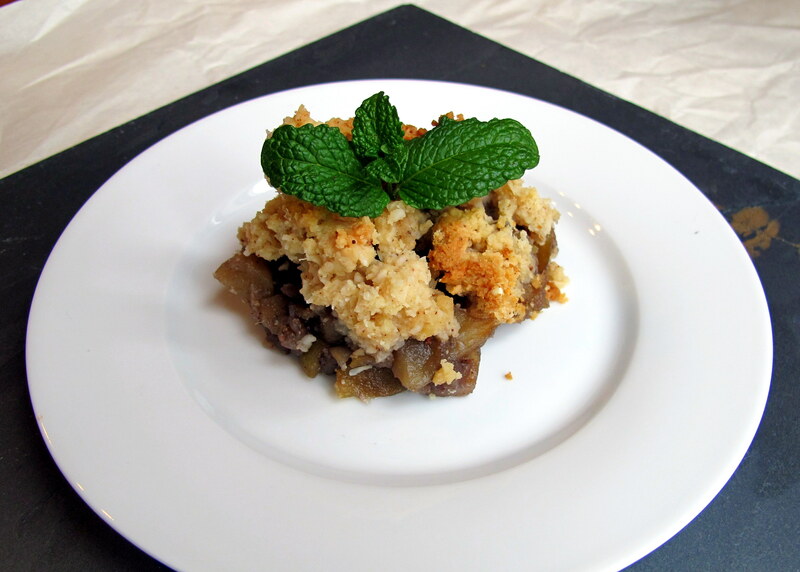 After a third attempt I feel I have mastered the choko mockapple crumble; just sweet enough, the choko has the texture of cooked apple and a mild flavour that lets the traditional apple pie spices shine through, while still bringing something of its own to the dish. 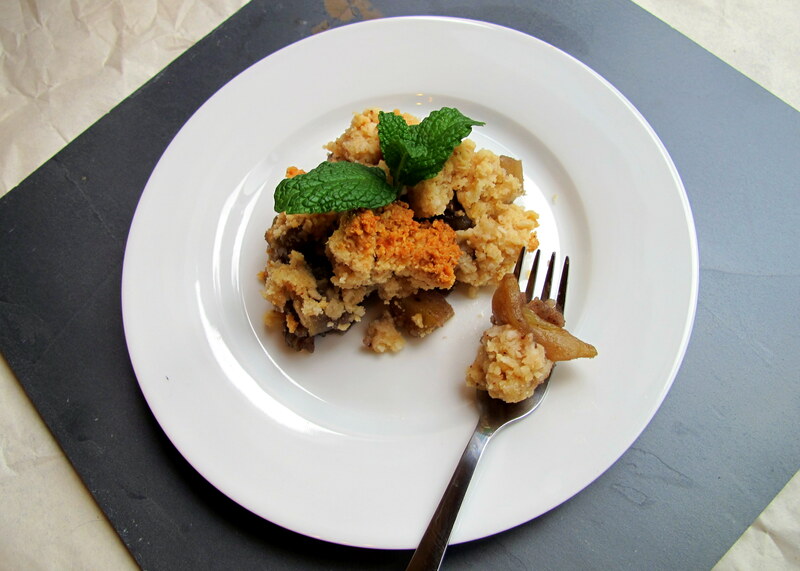 This filling would also work well with your favourite gluten free/FODMAP friendly pastry for a mockapple pie. 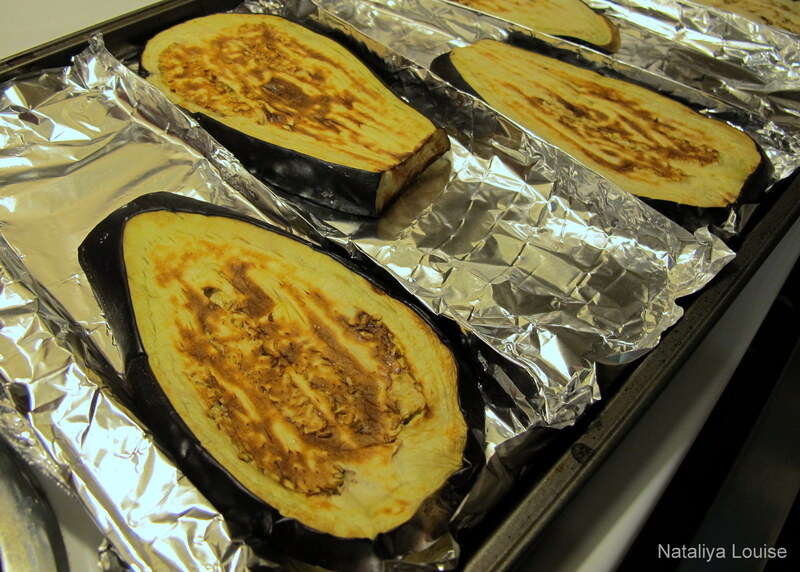 Chokos are a FODMAP friendly gourd in 1/2 cup servings. Dried coconut flesh is low FODMAP in servings of 1/4 cup, 1/2 cup contains potentially problematic amounts of sorbitol. Almonds are FODMAP friendly in servings of 10 nuts, while 20 nuts gets a high rating for oligos. Maple syrup, when pure, is 1:1 fructose/glucose, thus is considered fructose friendly. Cinnamon, ginger, all spice and cloves are low FODMAP spices. Peel, then slice or dice your chokos (discarding the large centre seed) into 2 cm or so chunks. Poach them in a pot of simmering water until soft – around 30 minutes. Meanwhile, combine all the crumble topping ingredients and mix until they are well combined, using your food processor (or by hand/with a pastry mixer). The result will slightly resemble a sticky cookie dough. Keep it in the fridge until you need it. Preheat your oven to 180 C/350 F. Drain the choko and mix through the sugars and spices. Pour the now runny choko mix into a 9 inch pie dish and then top evenly with the crumble dough. Bake at 180 C for 45-50 minutes, until the choko filling has thickened and the crumble has turned a lovely golden brown. Serve warm, with whipped coconut cream (or normal whipped cream) or your favourite FODMAP friendly ice cream (vegan if required). Enjoy! As always, my predictable stomach began to crave warm, hearty meals right about the time the weather started to cool down. Instead of light salads, it seems to be nagging for all the proteins and fats and carbs. Thanks stomach, I wasn’t planning on going up a size this winter but you seem to have other ideas. Of course, you shouldn’t always give in to cravings but occasionally it’s alright – say, for instance, after you had been sick for a week and could finally stay out of the bathroom for long enough to cook a meal (this gluten challenge is almost over, my immune system can see the light!). After said week, I couldn’t stomach much but I could manage chicken and rice… but how appetising (or nutritious, really) is boiled chicken and rice? This risotto is pretty basic, so it’s easy on the stomach; you don’t need much to fill you up and it packs in more nutrients than its plain cousin thanks to the homemade stock and vegetables it contains. Oh and it’s pure comfort food. Ready. Set. Nom. Balsamic vinegar is low FODMAP in 1 tbsp. servings. The 1/3 cup in this recipe will give 3/4 tbsp. per serving if divided between six people, less if shared among eight. Make sure you have real Balsamic vinegar, as the cheaper imitations might not all be FODMAP friendly – check the labels and use what you can tolerate. 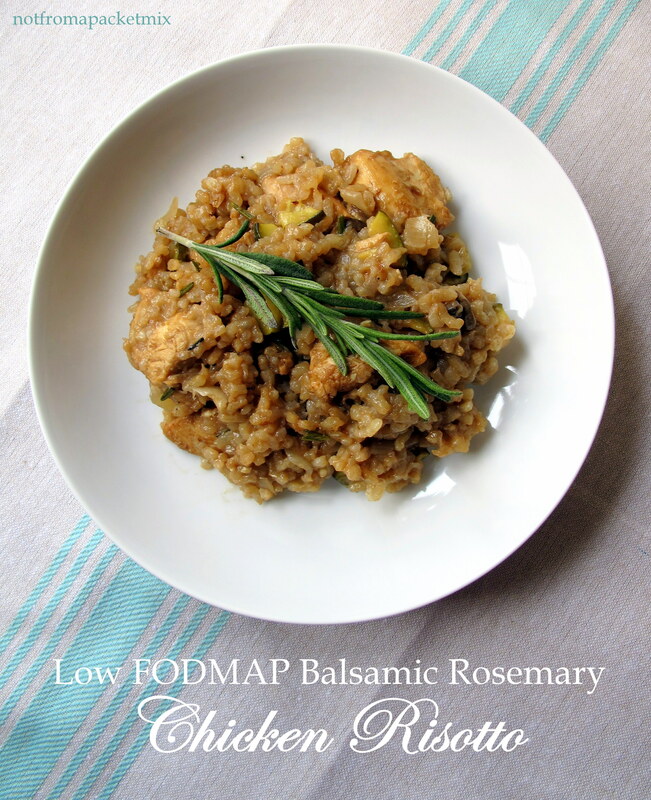 Rosemary is a low FODMAP herb. Chicken is of course low FODMAP – just be careful you don’t buy pre-seasoned chicken, which might have high FODMAP spices added. Zucchini is a FODMAP friendly vegetable. Mushrooms contain large amounts of the polyol mannitol in 1 cup servings. 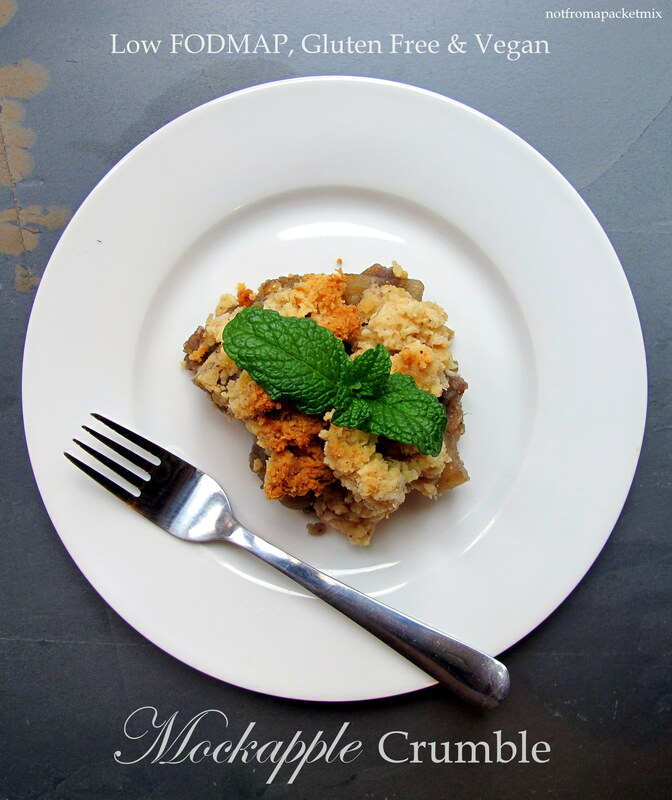 The 6 crimini mushrooms called for in this recipe would be just under 1/4 cup in size each, so you would be ingesting at most 1/4 cup of mushrooms if you divided this recipe among six people, less among eight. Of course, if you are sensitive to mannitol in any amount, substitute it with more zucchini, or even some cherry tomatoes. One serving of a dry white wine is considered low FODMAP. 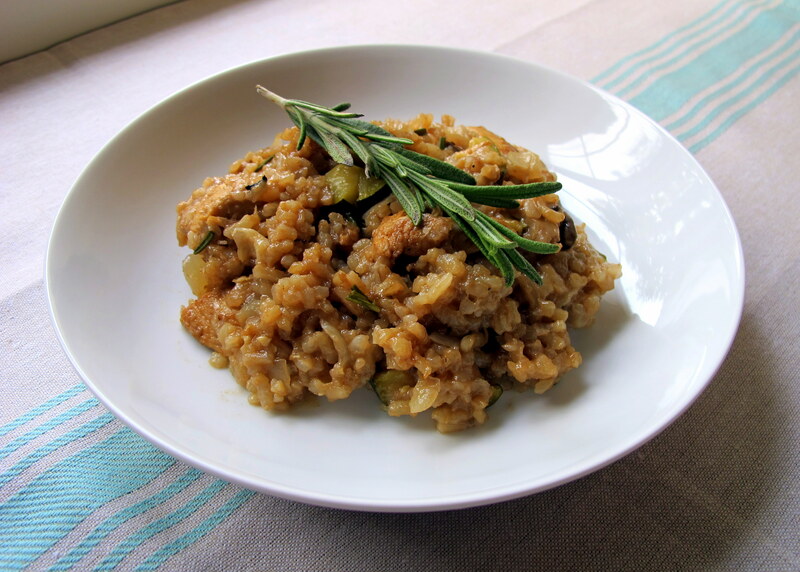 Arborio rice is a low FODMAP and gluten free grain. Butter is low in lactose, as FODMAPs are water soluble and butter is mostly fat. However, if you cannot tolerate any butter, either add in your favourite butter replacement or simply omit. For a less creamy version (i.e. when you’re recovering from a stomach bug and can’t tolerate rich foods) omit the butter. It’s what I did for my recovering stomach but any other time I would add it in. Prepare the chicken and vegetables, wash the rice and set everything aside. If you have time/thought ahead, marinate the chicken in the 1/6 cup of Balsamic vinegar overnight, otherwise, just add them together while cooking. Obviously, in this case you would prep the chicken the day before all the other ingredients. In a small saucepan, bring the chicken stock to a simmer and reduce to low. Put the lid on and leave until required. Fry the chicken pieces in a large fry/saute pan and add the Balsamic vinegar (if it wasn’t added earlier for marination – time constraints and all that). Cook over a high heat until the chicken pieces are all fully sealed and then remove the meat and juices from the pan into a clean bowl. Next, add in a little more olive oil and add in the leek tips and garlic cloves. Fry over a medium/high heat until the garlic becomes fragrant, then remove and discard the garlic cloves. Add the diced zucchini and mushrooms and cook over a medium heat until the vegetables are mostly cooked. Push the vegetables to the side and tip in the rice; fry the rice to coat it in the oil/pan juices and then pour in the white wine and last 1/6 cup of Balsamic vinegar. Cook over a medium heat until most of the liquid has evaporated and then begin adding the warmed chicken stock, one ladle at a time. Reduce the heat to a low/medium setting and stir occasionally, letting the stock gradually absorb into the rice. Add a fresh ladle of stock when the previous batch has almost dried out and keep going until the rice is fully cooked (soft) or the stock runs out. The chicken and its juices should be added back into the pan when the pot of stock is about half-used, so it can finish cooking with the rice. Season with the rosemary, salt and pepper when you add in the chicken and then tinker with a little more if required at the end. Finally, add in the optional butter and stir through, for a rich and creamy dish. 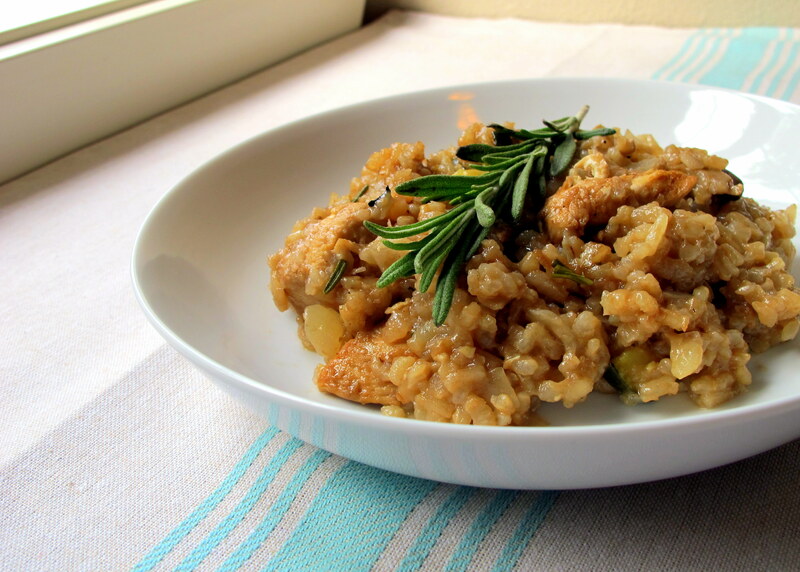 For pictures of not-quite-cooked vs. cooked risotto, see here. Serving suggestions: freshly grated Parmesan cheese, minced chives (green parts only) or a sprig of rosemary or parsley. Don’t forget the wine. If I was at a pub for dinner before my FM diagnosis, you can safely bet that I would be ordering a chicken parma. Kyatt’s was our favourite pub but it’s long since been turned into town homes, or something along those lines. That was a sad day. 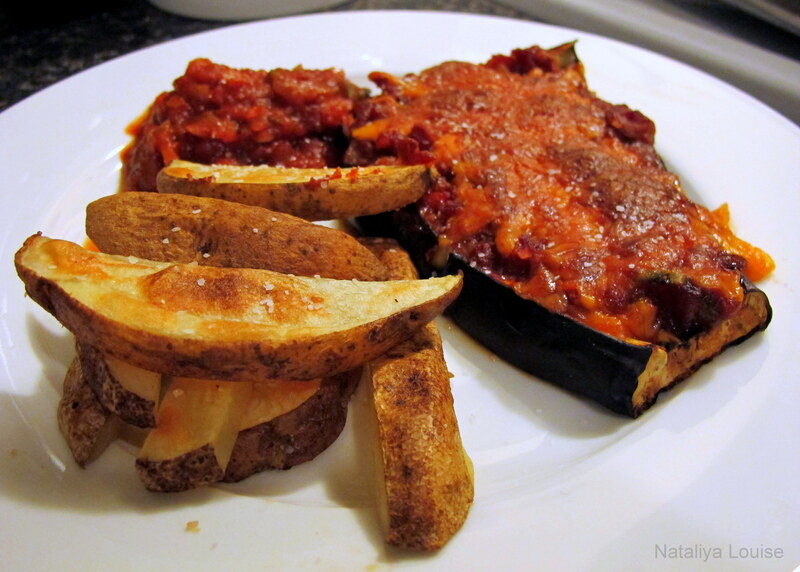 The middle of winter is the prime time for me to get cravings for warm, substantial meals like a chicken parma and this eggplant parma is the perfect way to lighten up the meal and leave your stomach feeling less heavy afterwards. 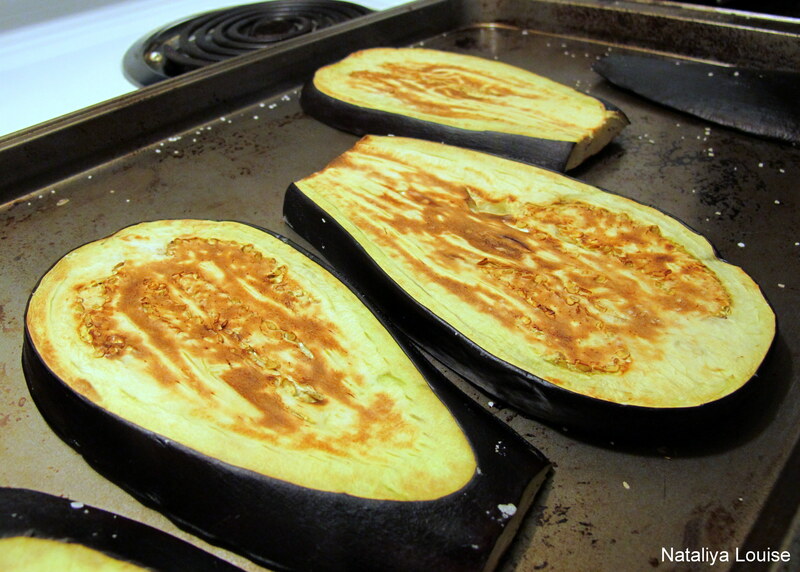 This recipe would also work with zucchini – yum! They’d just be more of an appetiser/entree than a main meal. Even though tomatoes (cherry, Roma, common and canned) are low FODMAP in 1/2 cup servings (tomato paste is concentrated, so it is high FODMAP), not all people can tolerate tomatoes, some for reasons other than FODMAPs – bear this in mind when you make this recipe. 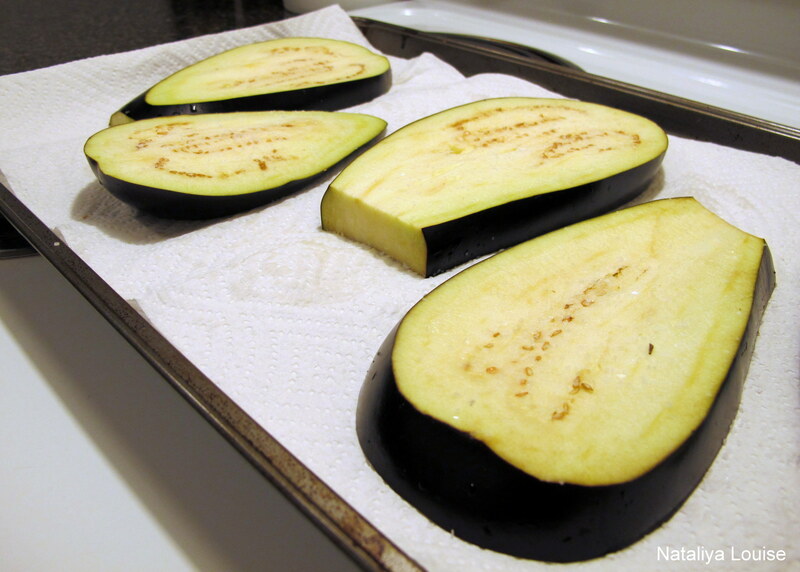 Slice the eggplant into 2 cm thick slices; lay the slices out on paper towelling and lightly salt the top side and let it sit for 20 minutes before you flip them and repeat the salting on the other side. After another 20 minutes, rinse off the salt and pat them dry. Turn the grill (broiler) of your oven on and place the slices underneath it for about 3 minutes per side – until they are slightly browned, as shown below. 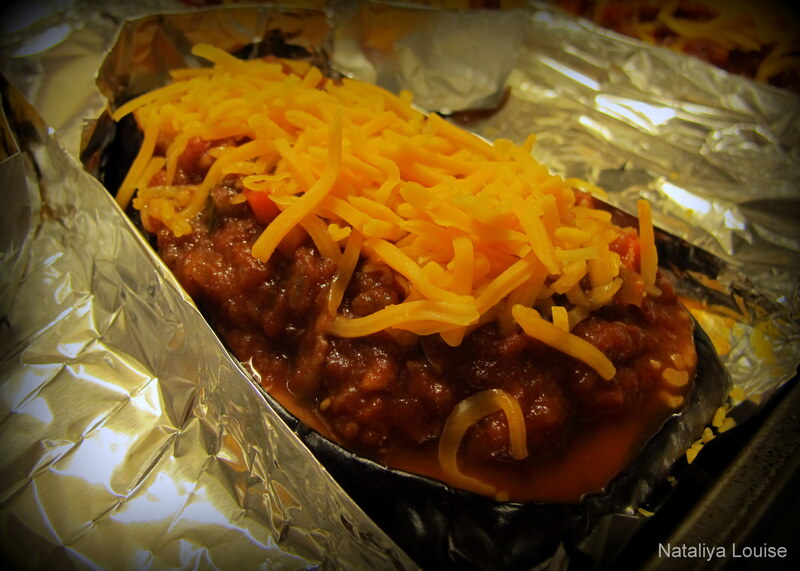 Preheat the oven to 180 C/350 F.
Line a baking tray with foil or baking paper. If your Napoli sauce is particularly runny, make little foil wells so that the slices/sauce remains neat and tidy (I’m a little OCD about this – if you’re not, that’s completely okay!). 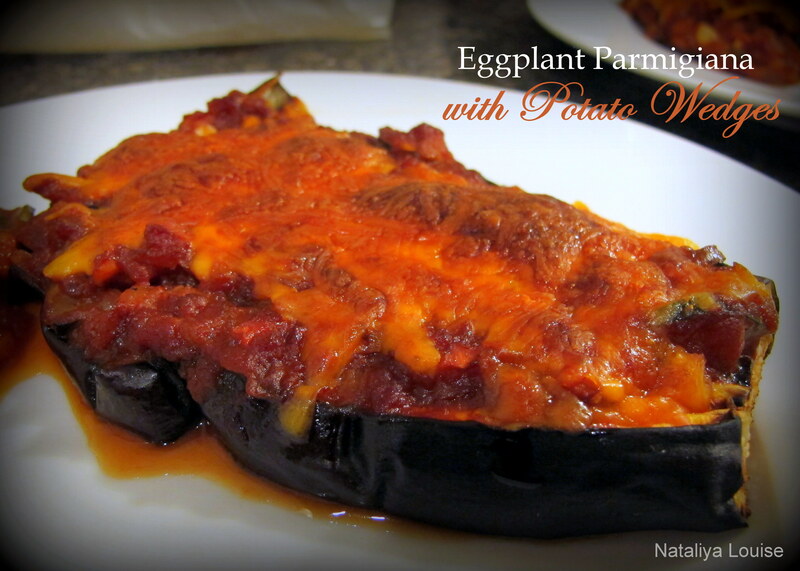 Spread the sauce out over the eggplant slices and then cover them with both cheeses – Parmesan last. Don’t spread too much cheese on it – unless you like it drowned in oil instead of browning. 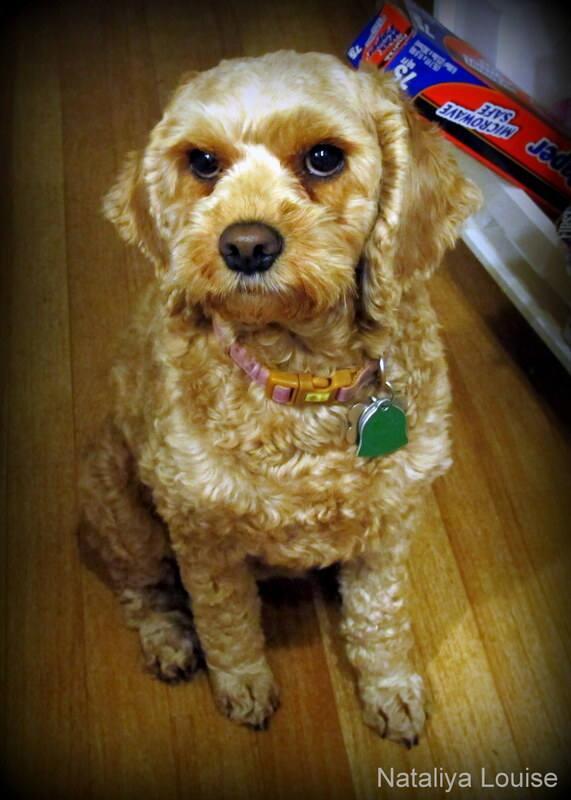 Nellie Belly wants some… what’s new?